Manufacturing the Highest Quality Feeds in BC — Since 1968! Exceptional customer relationships based on value, service, and the safest, highest quality, most nutritious feed products in BC. This helps our valued customers – some of whom have been with us for for as many as 50 years – achieve optimal animal health and economic performance. Ritchie-Smith works hard to lead the way with production and certifications. We consistently achieve exceptional quality by leveraging experience, leading-edge production technology and innovative nutritional concepts. Our two state-of-the-art mills include advanced pelleting lines and flaking systems to optimize pellet quality, minimize biological hazards and enhance feed ingredient digestibility and nutrition. Our dedicated 90-plus employees include a full complement of experienced nutritionists and specialized field staff to consult with other industry experts and farmers, helping meet and exceed livestock health, nutrition and performance expectations. We provide ease of ordering, on-time, reliable delivery, and unrivaled customer care. And we're always finding ways to improve through continuous education, listening to customers, visiting other mills and speaking to global industry experts. Ritchie-Smith continually invests in industry-leading innovations, practices and thorough planning, allowing our team to offer our customers high quality feed at competitive prices. 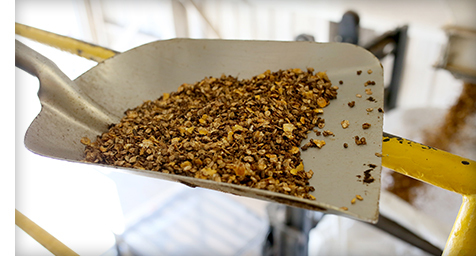 Our customized, cost-effective feed products and services help ensure our customers yield the best performance and get desired bottom line returns. Learn more about our feed company, or to discuss the best feed solution for you, contact us.